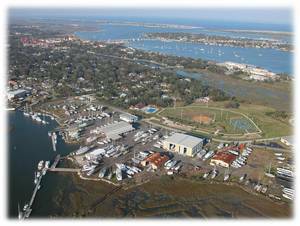 St. Augustine Yacht Sales'office is located at St Augustine Marine Center,a full service boat yard. Our staff's expertise is very broad- brokering pleasure boats,both power and sail,as well as all types of commercial vessels. We specialize in brokering, deliveries, consulting and instruction. St Augustine Yacht Sales also buys, sells and trades boats of all sizes. We have a large staff available. Douglas Crane Jr. is the broker of record and along with David Huff and Roland Beamish...We look forward to serving all your boating needs. Come visit us in the America's oldest city, Beautiful St. Augustine. We look forward to hearing from you. This is a beautiful example of a well equipped turn key cruising boat. The owner has decided to buy a motoryacht to liveaboard at the dock and not cruise..